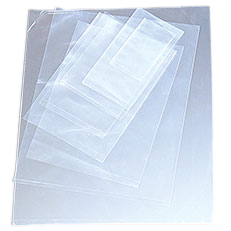 Clear Flat Poly Bags In Over 1,000 Sizes! Made of 100% virgin Low-Density Polyethylene (LDPE) resin, which meets all USDA and FDA requirements for food contact. 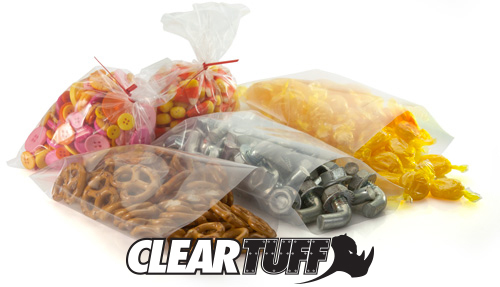 We offer over 1,000 sizes of flat poly bags in stock and same-day shipping! If you are new to our industry, you may not know exactly what a poly bag is or what kind of bag you need for your application. What does “mil” mean? How are these bags measured? Lay flat bags are available in a variety of thicknesses (mil) with unique uses and advantages ranging from 1 mil to 6 mil. The mil refers to the gauge or thickness of the poly bag. For instance, a 1 mil bag is fine for packing a sandwich for lunch, while a 6 mil bag will contain sharp objects like nails or jagged rocks. Poly bags are measured width first and length second for example 8" wide x 10" long, like in this example. The sizes are from side to side and have a bottom seal. Also, they are open at the top, which can be sealed by a twist tie, rubber band, bag tape or by heat sealing. 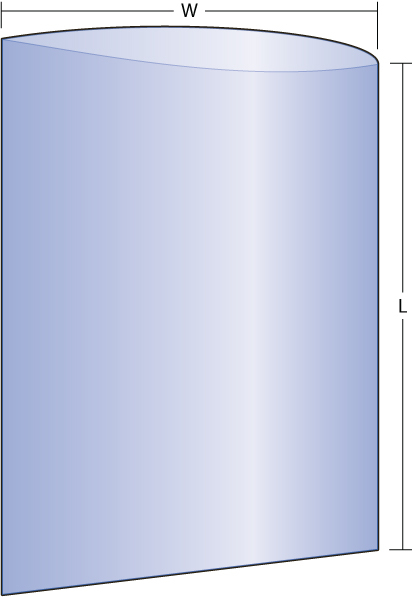 Now you're ready to choose your bag thickness (mil) below. Go to the different "mil" sections for further description. We also offer Custom Size and Custom Printing on all of our poly bags. Not sure which size you need or do you need a variety of sizes? Then try our assortment packs. 2 MIL - Perfect for light to medium items. 1,000 bags of our 8 most popular sizes. 4 MIL - Ideal for heavier weight items. 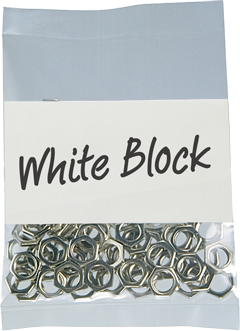 1,000 bags of our 8 most popular sizes. White Block printed on a clear bag accepts ink fro easy identification. 2 MIL - Perfect for Shipping and Storing Medium & Lightweight items. 4 MIL - Ideal for Storing, Sorting, Shipping of Heavier Weight Items.